Olubowale Obayomi, the CEO of Instant Exchangers started his early life in Ogun State where he completed his secondary school education. He moved to Oyo state for his first degree where he bagged a bachelor’s degree in Agricultural Engineering from the University of Ibadan. A trained Engineer but a born entrepreneur, Olubowale Obayomi began his business exploration in the line of e-currency during his early years of his degree programme. Olubowale Obayomi was one of the pioneer’s and major reseller of liberty reserve e-currency in Nigeria before it exited the e-currency market. At the on-set, he started with direct sales by phone calls and walk-in. For his prompt delivery and excellent services, his customers named him Instant Exchanger. He then adopted the name Instant Exchangers for his e-currency business. Prior to the exit of liberty reserve, he tenaciously and intelligently observed trends in the e-currency market and had begun to anticipate the crash of Liberty Reserve. Therefore, the exit was not much of a sudden event. Alongside liberty reserve, he ventured into the sales of other e-currencies like cashu, paypal, epay, okay, bitcoin, payeer, litecoin and webmoney. The crash of liberty reserve paved way for Perfect Money. Driven by passion to increase awareness of e-currency, change the notion about e-currency and provide flexible e-currency services, he expanded his e-currency business and adopted new business strategy. He upgraded his online platform (website), increased security, increased publicity, introduced bonanza and promo and added value-added exchange services. 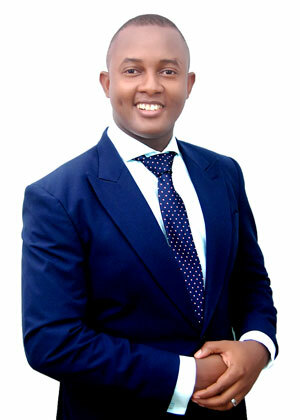 Over the years, Olubowale Obayomi has gathered wealth of experience in e-currency exchange services. He has introduced new ideas that has revolutionized e-currency exchange services. He has assisted in educating start-ups and contributed immensely to assist in curbing the activities of fraudsters in hi-jacking the e-currency platform for fraudulent activities. He has received many awards, recommendations and commendations for his excellent service delivery from customers, other e-currency exchangers and e-currency owners.